Greater Manchester Police failed in its dealings with a woman who was killed by her ex-partner, a police watchdog says. Katie Summers, 24, was stabbed to death by Brian Taylor in October 2008 at the home she shared with their children. Despite 11 call-outs connected to the couple, police did not recognise the risk, the Independent Police Complaints Commission (IPCC) report said. 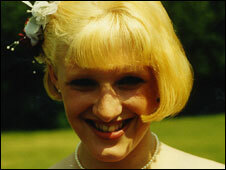 GMP said Ms Summers' death was "tragic" and that work was under way to improve the way it responds to domestic abuse. Police had contact with Ms Summers, also known as Katie Boardman, five times in the four days before her death. In total, they visited 11 times between June 2007 and 7 October 2008. But two days after their last visit, Taylor stabbed Ms Summers in her Farnworth home. He had been arrested on 7 October, in connection with an unconnected incident, but was released later that night. 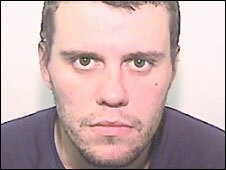 In February at Manchester Crown Court, Taylor, 30, of Chorley Old Road, Bolton, pleaded guilty to murder. He was jailed for life and must serve a minimum term of 17 years and six months. Naseem Malik, IPCC commissioner for the North West of England, who wrote the report, said: "There were a number of failings on the part of Greater Manchester Police and individual officers and staff in their dealings with Katie Boardman." However, she said no single failing contributed to Ms Boardman's death. She added: "It cannot be said that had the failings not happened Katie would be alive today." Ms Malik also said Ms Summers was not always forthcoming with information to the police. Her investigation found a lack of a proper overview of incidents by individual officers, call handlers, and staff in the Public Protection Investigations Unit (PPIU). She said: "There was a total failure to consider the history and the increasing risk and as a result the troubled relationship continued to fester." Ms Malik has recommended one officer who dealt with Ms Summers be disciplined. Other failings included incorrectly categorising incidents so they did not come to the attention of the PPIU. After one incident, an officer requested a member of the Domestic Violence Unit visit Ms Summers but the request was never acted upon. Ms Summers' sister, Sarah, said: "They thought she was wasting their time. They didn't realise how scared she was. She had good reason to be. "It is a police officer's job to notice when someone is in danger and when someone is scared for their life. "I think the police really need to look at how seriously they are taking domestic violence and get more training. They need to care more about the victim and victim's family rather than wasting police time." The commissioner has made several recommendations to GMP including changing its systems in dealing with domestic violence. 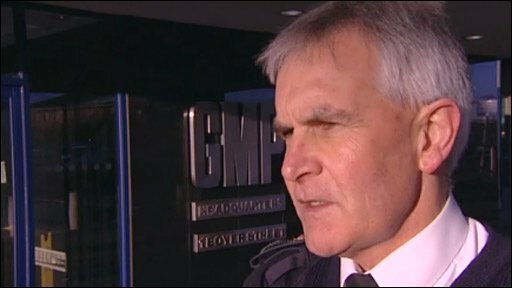 GMP Assistant Chief Constable Terry Sweeney said: "The IPCC investigation found that GMP provided an appropriate response to individual incidents but did not identify a pattern of problems. "A domestic abuse steering group has been established to review all aspects of our response to this type of crime and all front-line staff are in the process of undertaking dedicated training on how to deal with vulnerable people."